The PowerBall jackpot rolled over on Saturday night after no ticket could match all the six drawn numbers. The numbers drawn in PowerBall’s Saturday night draw were 8, 17, 18, 40 & 44. The PowerBall was 16 & the Power Play prize multiplier for $2 tickets was 2. But no ticket could match all the five drawn numbers & the PowerBall number resulting in the jackpot rolling over to $97 million for Wednesday’s draw. But there were winners, of course. 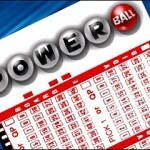 Two Power Play tickets matched the first five numbers drawn but not the PowerBall number. They won $1 million each. The tickets were said to be sold in New York & New Mexico. Nine other $1 tickets also matched the first five numbers & won $200,000 each. Three of those nine tickets were sold in Florida. Same was the case with Florida Lotto’s Saturday draw. No ticket could match all the six numbers drawn, resulting in the jackpot of the Florida Lotto rolling over to $29 million for Wednesday’s draw. The numbers which were drawn in Florida Lotto’s Saturday draw were 5, 6, 9, 11, 26 & 39. The extra prize multiplier for $2 tickets was 2. The five fantasy numbers were matched by four tickets sold in the state, including two sold in Palm Beach County. The numbers were 8, 14, 26, 27 & 31. Each of those four tickets won $65, 925.37.